We are dedicated to taking the hassles out of all your ground transportation concerns. No job is too small or too large. Our equipment is top of the line and our attention to details is unsurpassed. We handle all aspects of providing a highly trained and professional drivers for each of our vehicles. Emergency back-ups are always available and all drivers are in constant communication with our office to insure safe and on-time arrivals. J&F Transportation is a locally owned and operated company. Established in 1979 as a full service ground transportation company, we specialize in school buses, vans and motor coaches. Our diverse fleet enables us to accommodate small and large groups. Stay focused on education not transportation. If you are a Business Manager, Principal, Superintendent, or Teacher making decisions about transportation, let J&F make the process a little easier. J&F offers specific solutions, and provides you with expertise, and a highly motivated staff to deliver transportation services that work for you. 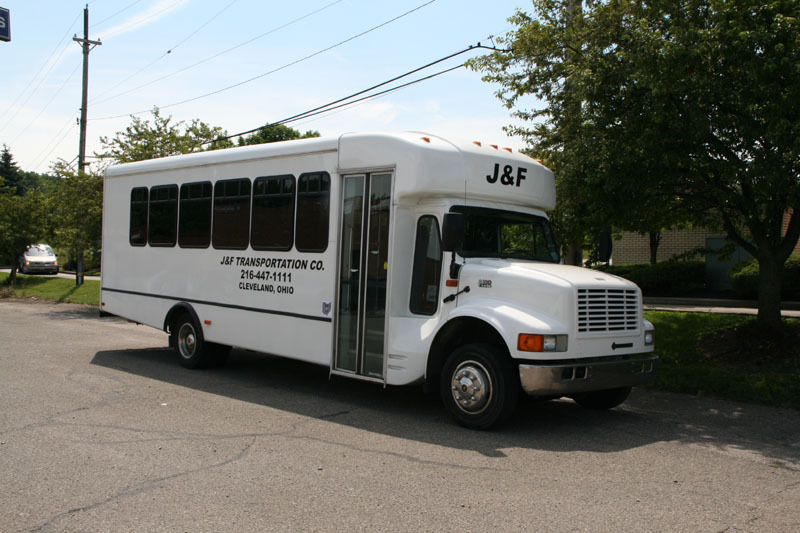 J&F transportation provides school buses for School Districts, Colleges, Universities, and Private Schools in Northeast Ohio. We can rent buses by the hour, day or per trip. The following is a list of services we provide route runs, field trips, charter bus rentals, atheletic events, after school activites and much more! © Copyright 2012 J&F Transporation Company, All Rights Reserved.